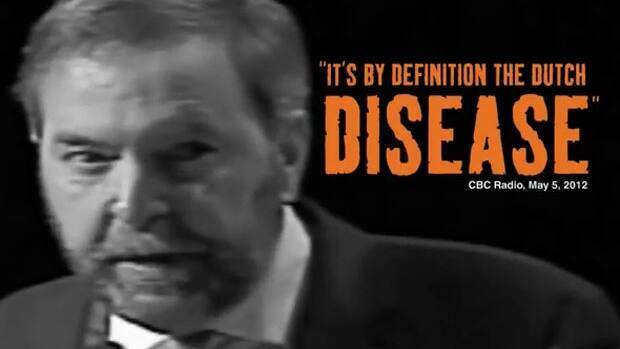 With the election ratcheting up, attack ads are out from the Conservatives against Thomas Mulcair. The ad claims that Mulcair is a career politician who is only out for himself, and that Canada cannot afford his economic policy. Similarly, the Trudeau ads often attack his experience, and end with the tagline, "Just Not Ready". Now, do these kinds of personality based attacks actually work? Past campaigns would suggest that they can. Back in the 2011 election, the Conservatives very successfully painted Michael Ignatieff as not a real Canadian, and suggested that he was just interested in power, and it worked very well in discrediting him. Also, in the previous election there were the ads about the Liberal leader of the time, Stephane Dion, being incompetent. These focused in particularly on his English ability, and this line of attack was also very effective. So what made these ads so successful? In part, they latched on to an impression that Canadians already had of these politicians. and magnified it. There was also some truth to the ads, and they did not have to be pieced together from parts of interviews out of context. This time around the Conservative Party is using the same strategy, but it doesn't appear to be getting them the result the previous ads did. The attack ads on Trudeau are actually driving voters toward him. He also has created a pretty sharp response ad, in which he counters the rhetoric with facts about his platform. Similarly. the attack ad on Thomas Mulcair lacks some credibility, especially since Stephen Harper himself is a career politician. An attack ad only really works if the people watching it can't smell the hypocrisy from a mile away. The negative Mulcair ads will in all likelihood not be all that effective in putting a dent in his lead for this reason. There is also the issue of fatigue over attack ads. If the public feel that the ads are not true, overly distasteful, or think that the airwaves are oversaturated with them, it can cause genuine annoyance which will hurt the party who puts them out. If this becomes the case with these ads, they may well hurt the Conservatives rather than help. Just because you have the money to spend on ads, doesn't mean you have to use it all, because it can backfire. There is also the issue of familiarity. Attack ads don't work as well on opponents who are already familiar to the public, and this can be seen with the way the attack ads on Justin Trudeau seem to fall flat. The Canadian public, especially in Quebec, are all quite familiar with Justin Trudeau. Many older Canadians watched him grow up. People have an opinion of him already, whether positive or negative, and it is hard to influence that. Mulcair on the other hand, is not as well known outside of Quebec, so it may prove easier to influence voter opinion on him, but it remains to be seen if the Conservative attacks will be successful. However, they will have to come up with something more substantive than the ad they just released. The best political attack ads are the ones that are true, or confirm something people already think, instead of telling people what you want them to think. That seems to be the biggest misstep with the recent Conservative attack ads. They are trying to build a sentiment instead of latching onto one that is already there. The Conservatives also run the risk of looking like bullies, or even childish, especially with their choice of ads on Trudeau, when contrasted with his high road response. In this election, a more positive campaign might be seen by the public as a refreshing alternative after 10 years of attack ads, and that could be dangerous for the Conservatives.